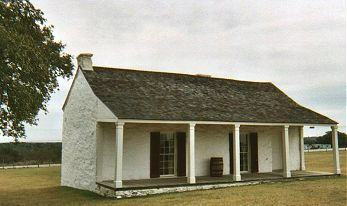 Fort McKavett Texas, Fort McKavett State Historic Site. Named in honor of Capt. 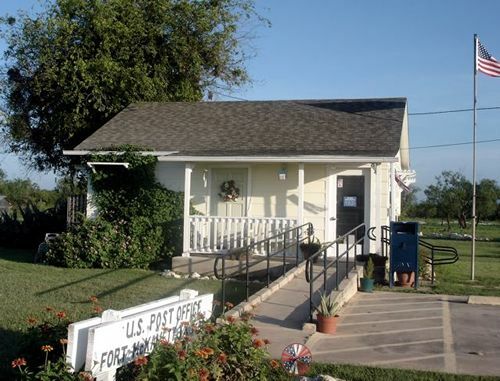 Henry McKavett, who was killed in the Mexican War battle of Monterrey, the post had been known as Camp San Saba. 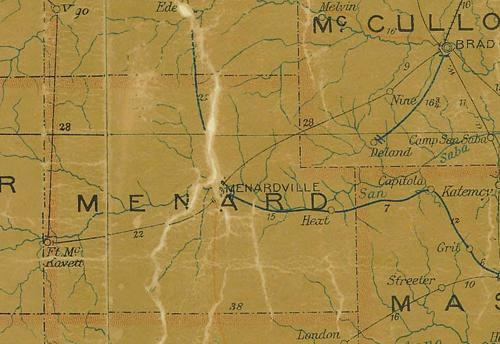 Camp followers formed a town a mile north of the post. It was supposed to be named after a German merchant, but went by the unfortunate name of "Scabtown." Camp San Saba closed in 1859, and most of the civilians left when the soldiers departed. The post and the community - having rid itself of the name Scabtown was more than happy to assume the same name as the fort. The fort closed again in 1883 - but with the Indian threat gone, residents stayed - unlike the previous closing. By the mid-1890s the community had 80 citizens, a weekly paper - and two hotels. In 1904 the school had twenty-eight students and two teachers. 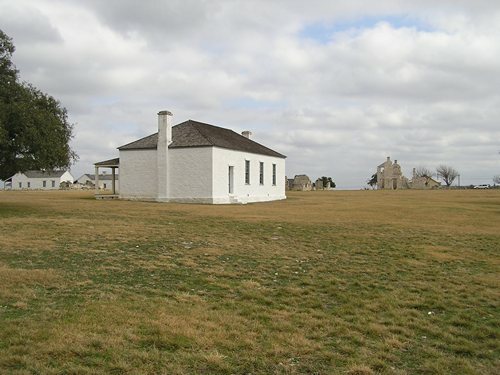 By the 1920s, Fort McKavett's population was about 150 - falling to 136 during the years of the Great Depression and staying at that level until the 1960s. From a reported 103 in the 70s, it declined to a mere 45 by 1990.